Eligible organizations conducting research that explores the interrelation of behavioral, social, and psychological factors that influence participation, health practice, lifestyle, and support systems in community and clinical settings are encouraged to apply. Award amounts in this competitive grants process range from $150,000 to $400,000. The Trans-NIH Myalgic Encephalomyelitis/Chronic Fatigue Syndrome (ME/CFS) Working Group recently issued two RFAs for ME/CFS research. Applicants are encouraged to consider potential collaborations on clinical studies with the CTSA program Trial Innovation Network. This initiative supports multidisciplinary, innovative exploratory and developmental research to understand the underlying etiologic factors and mechanisms that result in disparities in chronic liver diseases and cancer in the U.S. Grants to focus on cerebral small vessel diseases, chronic kidney disease with comorbities/comortalities and/or heart failure with preserved ejection fractions (HFpEF). All applications must focus on the role of the environment in human disease. 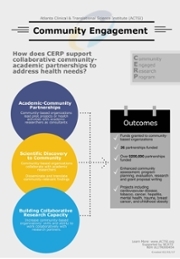 Projects can include basic, biomedical, translational, clinical, epidemiological, behavioral or community-based participatory research (CBPR) approaches. The goal of this FOA is to enable the development of 3D-bioprinted tissue models for drug discovery, including efficacy studies and toxicology research through a collaborative arrangement between the 3-D Bioprinting Program at the National Center for Advancing Translational Sciences (NCATS) and extramural scientists. These awards are for developing and testing new hypotheses and/or new methods, and supporting promising new investigators as they establish themselves in research areas relevant to cystic fibrosis. To encourage research to improve self-management and quality of life in children and adolescents with chronic conditions, including research that takes into consideration various factors that influence self-management such as individual differences, biological and psychological factors, family and sociocultural context, family-community dynamics, healthcare system factors, technological advances, and the role of the environment. This initiative is designed to stimulate research that targets the reduction of health disparities among children. For purposes of this FOA, "health disparities" applies to children who have limited access to resources and privileges that impact their health. The program is designed to develop partnerships between pharmaceutical companies and the biomedical research community to advance therapeutics development. X02, UG3/UH3, and pediatric UG3/UH3 available. The purpose of the award is to support the ability of outstanding, mentored postdoctoral researchers to develop a potentially impactful research project with a comprehensive career development plan that will enable them to launch an independent research program. The award is intended to support the research and research career advancement of outstanding, exceptionally productive scientists who are in the early, formative stages of their careers and who plan to make a long term career commitment to research in specific mission areas of the NIMH. This award seeks to assist these individuals in launching an innovative clinical, translational, basic or services research program that holds the potential to profoundly transform the understanding, diagnosis, treatment, or prevention of mental disorders. In September 2016, the NIH issued a Policy on Good Clinical Practice (GCP) Training for NIH awardees involved in NIH-funded clinical trials. The principles of GCP help assure the safety, integrity, and quality of clinical trials. Presented at 5:00 p.m. by Rev. Dr. Betty Deas Clark, first female pastor in 198 years of Mother Emmanuel AME Church in Charleston, SC, following the 2015 shooting of nine members attending bible study. The Emory Women's Heart Center is hosting an educational event at Emory University Hospital Midtown where participants can meet physicians and care team members, learn how to prevent heart disease and find out about personal risk potential. The event will also feature a vendor expo with demonstrations of products and services. Healthy refreshments will be provided. The awards ceremony will celebrate the past year's achievements and honor faculty inventors. Held at 4:30 p.m. in the Emory Conference Center, Silver Bell Pavilion. Hosted by the Georgia Tech Research Institute, this event attracts people from the clinical, payer, and biopharma space to meet and discuss current and future projects using FHIR. It is a chance for the local healthcare and health IT communities to understand the latest on what's happening with FHIR as an interoperability platform. Early bird registration rates end on February 28.